Many people prefer to buy used cars instead of new ones and it does have its advantages. Buying a used car is cheaper and there are many options available to choose from, so you can usually find exactly what you want if you shop around. Normally, you can also get a lower rate on insurance but you do have to be careful when buying a used car. Even if you choose to make your purchase with a company instead of with an individual, that doesn’t guarantee that you’ll get a great car. It’s not uncommon for consumers to end up with a vehicle that’s simply not any good and that’s why it’s so important for you to buy smart when buying a used car. Many people rely on the Lemon Law to protect them but when it comes to used vehicles, it may not apply. The Lemon Law was put in place to protect car buyers but what many people don’t know is that it mainly applies to new vehicles, not used ones. This law is different depending on which state you live in but here’s how it usually works. All new vehicles are protected by the Lemon Law and it covers any manufacturing defect that affects the performance of the vehicle. In many states, this law will apply for the first couple of years you own your vehicle to allow you time to notice a problem and to follow the guidelines establish by your state for dealing with a new car lemon. Used cars are different. Instead of having a couple of years to check out the vehicle, you’re usually limited to a couple of months or less depending on where you live and that’s if the Lemon Law even exists in your state. You can learn more about the Lemon Laws for new and used vehicles associated with each state at DMV.org. Now that you know the Lemon Law may not protect you when buying a used vehicle, what can you do to protect yourself? The best way you can protect yourself is to test-drive the vehicle to see how it drives and to look for any obvious problems that warrant concern. If everything seems to be running smoothly, the next step is to take it to a mechanic you trust and have him inspect it. If there are any signs the vehicle has been in a serious accident or sustained water damage, he should be able to tell. He can also check the engine, transmission and brakes to see if everything is in good shape. You can also check the VIN number to learn about the history of the vehicle, so you’ll know how many owners it had and if it was ever involved in a serious accident. Avoid buying on impulse because when it comes to used cars, looks can be deceiving. Another way to protect yourself when buying a used car is to buy from a reputable dealership in Miami. 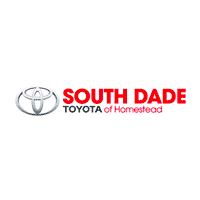 When you buy a certified used Toyota, you can rest easy knowing that it has undergone thorough inspection from some of the most qualified mechanics in the business. When you buy smart, you can make a good used car investment that will last for many years.